Help Us Adopt Aliya's Biological Sibling! After thirteen years of infertility, a possible miscarriage, and a hysterectomy, I was holding my daughter Aliya. It was, without a doubt, the best day of my life. My husband and I began our adoption journey in April 2015. In October 2017, we got the phone call we were waiting for - we had been matched! 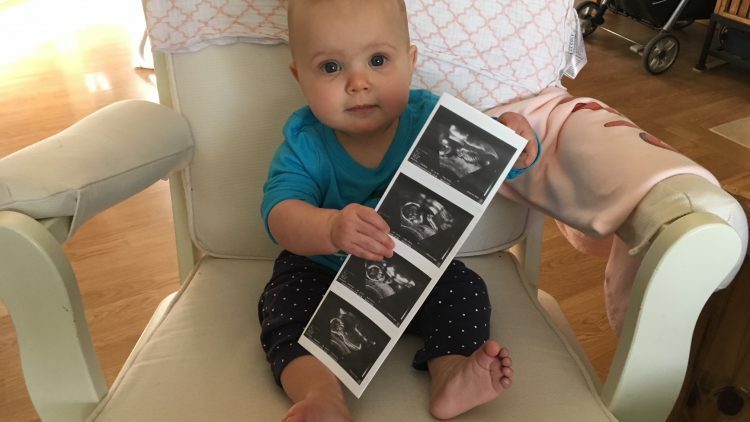 In February 2018, our daugher was born and our family was complete. Six months later, we were driving to the courthouse to finalize Aliya's adoption and we got another phone call. Aliya's birthmother was pregnant again and she wanted us to adopt the new baby too. At first, we were in shock. Then we got excited. Aliya was going to be able to grow up with a biological sibling. Then reality set in. We spent three years saving money, working extra jobs, applying for grants, and crowdfunding to raise the fees for our first adoption and we still fell short. We were forced to take out a loan to be able to finalize the adoption on time. Our second baby is due in February 2019 and we are once again working extra hours, saving as much as we can, and asking for help. We will need to travel to Oklahoma for two weeks while we wait for the paperwork to be completed before we can return home. So, in addition to the adoption agency fees, we will have travel and hotel fees as well. Will you help us bring Aliya's biological sibling home? Congratulations on your beautiful family, Jenny and Scott! I can’t wait to meet your newest addition!